Light golden amber color. Interesting, exotic aromas of fired rubber, durian, gooseberry, and nori with a round, vibrant, fruity full body and a peppery, layered, long toasted brown rice and fermented tea, ginger and lemongrass, gochujang and vanilla yogurt, and sweet soy sauce finish. An exotic, funky and intriguing single malt for adventure seekers. 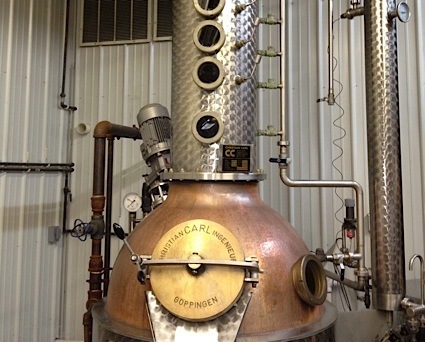 Bottom Line: An exotic, funky and intriguing single malt for adventure seekers. 94 • Highland Park 18 Year Old Single Malt Scotch Whisky 43% (Scotland) $149.99. 87 • Highland Park Magnus Single Malt Scotch Whisky 40% (Scotland) $39.99. 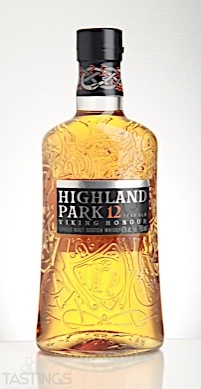 93 • Highland Park Viking Honor 12 Year Old Single Malt Scotch 43% (Scotland) $54.99. 95 • Highland Park Valkyrie Single Malt Scotch 45.9% (Scotland) $79.99. 88 • Naked Grouse Blended Malt Scotch Whisky 43% (Scotland) $34.99. 88 • Noble Oak Small Batch Bourbon Whiskey 45% (USA) $34.99. 90 • Snow Leopard Vodka 40% (Poland) $26.99. 95 • The Macallan Double Cask 12 Year Old Single Malt Scotch Whisky 43% (Scotland) $65.00. 92 • The Macallan Rare Cask Single Malt Scotch Whisky 43% (Scotland) $300.00. Island Whisky refers to whisky made on the islands off the Scottish mainland, except for Islay. This includes the Orkney Isles; and the Western Islands (Arran, Jura, Mull, and Skye). These whiskies are characterized by various levels of smokiness and a distinctive, ethereal sea air quality. Highland Park Viking Honor 12 Year Old Single Malt Scotch rating was calculated by tastings.com to be 93 points out of 100 on 8/17/2017. Please note that MSRP may have changed since the date of our review.